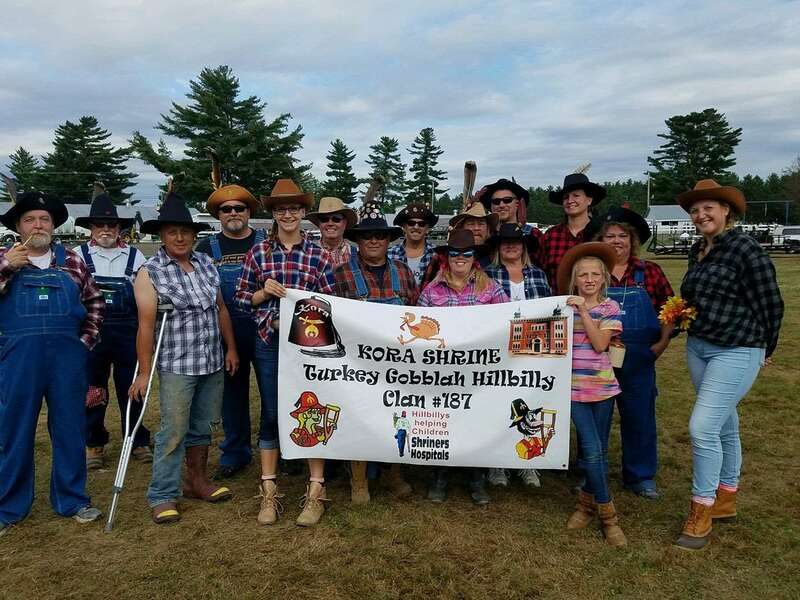 Turkey Gobblah Clan #187 is an official Clan of the Imperial Order of the Grand and Glorious Order of the Hillbilly Degree Chartered September 2017. The purpose of this organization is to promote sociability among members, to provide financial support to the Shriner’s Hospitals for Children and to the Shriner’s Hospital Transportation Fund of Kora Shriners. Unique to the Hillbillies is a ritual or degree one must take in order to become a member There is also a special Ma’s Degree which is put on by the Ladies Auxiliary, affectionately called the Ma’s. To join you must be a member in good standing of Shriners International, fill out an application and pay the $50 initiation fee for the Pa Degree or $25 initiation fee for the Ma Degree. The initiation fee includes a $10 lifetime membership in the Imperial Clan so no dues are necessary after you pay the initiation fee. If you wish to be an active member in the Turkey Gobblah Clan #187, dues are currently $10 per member annually due no later than the November Annual Meeting. There are no dues for the Ma’s after the initiation fee. There are six (6) meetings held annually in January, March, May, July, September and November with November being the Annual Meeting and Election of Officers. The Raban of the Clan may call special meetings as necessary. Any lifetime member of the Imperial Order of the Grand and Glorious Order of the Hillbilly Degree is welcome to attend and participate in any of our events. Only those who pay dues are members of the Clan and considered voting members. Fundraising activities include the Degree itself as well as parades, special events and festivals. Stay tuned as there are a lot of great activities being planned throughout the year to raise money for Shriner’s Hospitals for Children. We can’t put a price on what we do fer kids, so we do it fer free!